Taco Soup is a quick and easy soup that is hearty, satisfying and downright delicious! 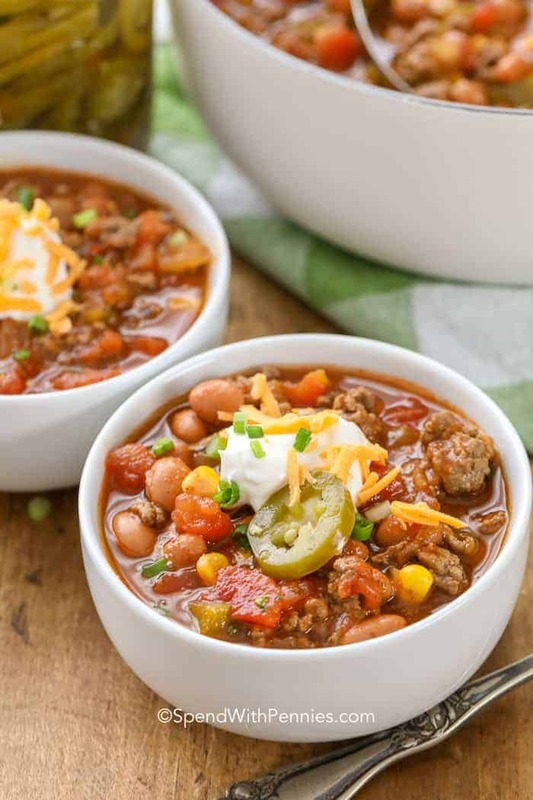 The best part is that this beefy taco soup can be prepared from start to finish in about 30 minutes! 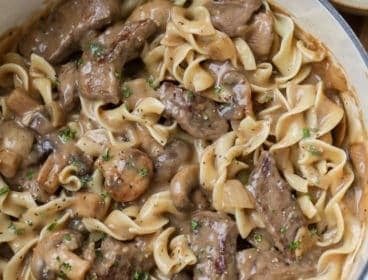 What a great way to make a wholesome meal for your family! Taco soup ingredients include ground beef, beans, corn, tomatoes, peppers and of course taco seasoning. Everything simmers together in a rich tomato-beef broth to create a thick and chunky soup that has just the right amount of kick! 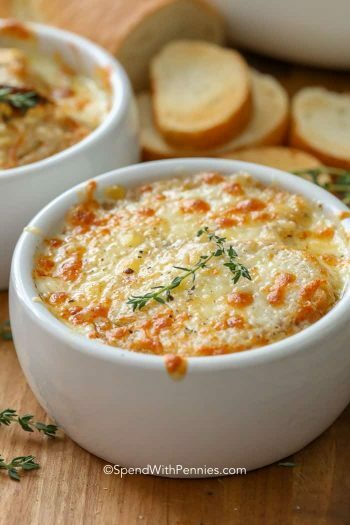 Top this soup with sour cream, Homemade Salsa or Pico de Gallo and a sprinkle of cheddar for the perfect dinner! This easy Taco Soup Recipe combines two of my favorite things; tacos and soup! Tacos of any kind from Fish Tacos to Chicken Tacos piled high with all of our favorite ingredients are definitely loved by my family. 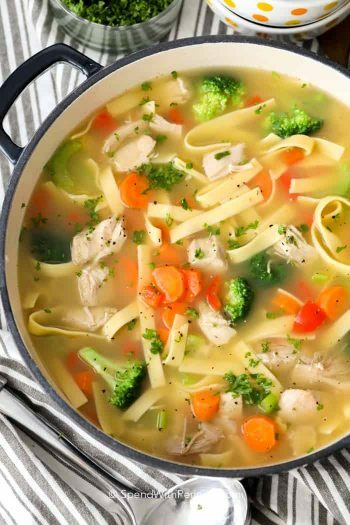 If you’ve ever visited Spend With Pennies before, you know how much I love soups from Easy Hamburger Soup to simple Homemade Chicken Noodle Soup. I love the ease and simplicity of making soup. There is something so comforting about a warm bowl of healthy goodness on a chilly day and this Taco Soup is no exception! 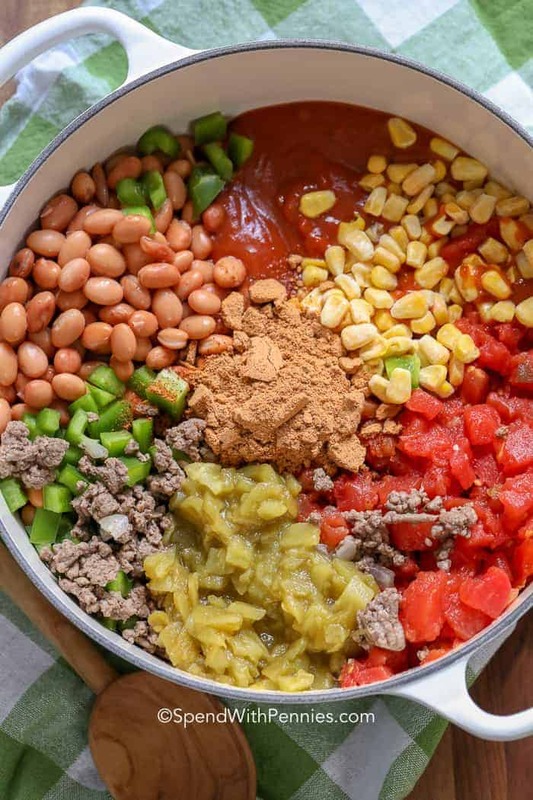 This Taco Soup recipe is made on the stove top and is literally as easy as 1, 2, 3. It’s the perfect weeknight meal because taco soup cooks for 15 minutes so it’s really fast (and a great way to use up leftover taco meat)! Brown ground beef with onion and drain off extra fat. Add remaining taco soup ingredients, bring to a boil then simmer for 15-20 minutes. Top it with your choice of taco toppings like sour cream, jalapeños, cheese and crispy tortillas. 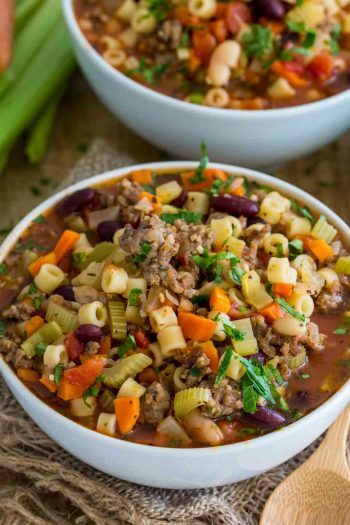 To make this into a chicken taco soup you can easily substitute ground chicken (or turkey) for the ground beef and add in a beef bouillon cube and the rest of the recipe stays the same. 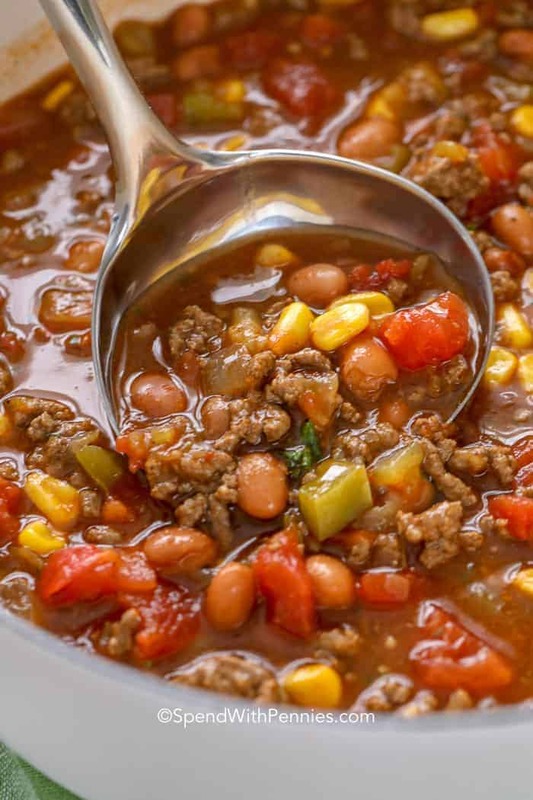 Taco Soup can be served with a bun or a slice of bread, tortilla chips and cheese or yummy Pull Apart Bread Rolls. 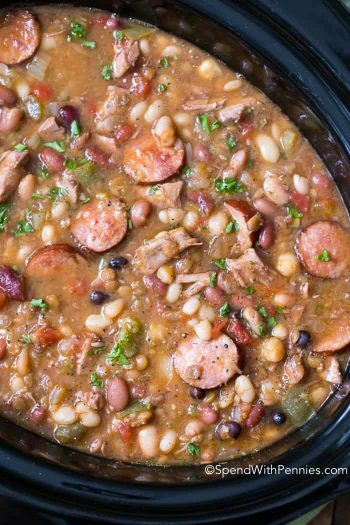 If your taco soup is more of an appetizer or the first course for a dinner party, it is perfect served before Chicken Fajitas or Shrimp Fajitas! And don’t forget to include a delicious dessert like Apple Pie Tacos! Taco soup will last a few days in the fridge. 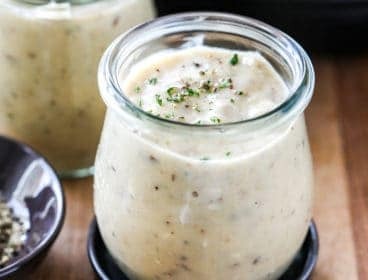 If you plan to keep it longer than that, this soup freezes perfectly! I love to freeze it in individual portions so I can take one out for lunch or several out for a family meal! 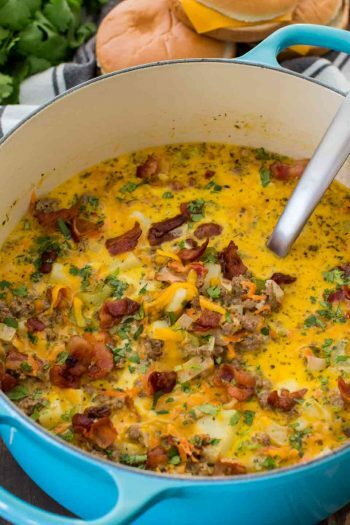 Beef Taco Casserole – Easy family meal! Crockpot Chicken Tacos – Great for potlucks. Dorito Taco Salad – Reader favorite! 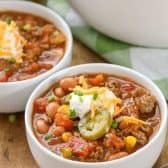 Taco Soup is a quick weeknight meal that my family absolutely loves! In a large pot, brown ground beef with onion till no pink remains. Drain off any excess fat. Add remaining ingredients to pot. Bring to a boil, turn down to simmer for 15-20 minutes.